Your dream of studying with us has never been so close, applications for Short Gourmet courses are open at Le Cordon Bleu São Paulo. We are offering courses with the most varied techniques, in Demonstrative and Practical classes, the student can choose between courses of: Macarons, Eclairs or the exclusive Workshopp of Christmas French Dinner. In addition to these courses, the candidate can also participate in tastings of: Chocolates, truffles and bombons, or try the culinary demonstration of the innovative Workshop Cuisine des Amis, which will blend demonstrations of French cuisine and wine tastings for you to cook for your friends in your own home. Note: After registering, wait for one of our agents contact you. For each of our Gourmet courses you will receive an exclusive certificate of Le Cordon Bleu with recognition in all units of our school. A round biscuit, crunchy on the outside, moist and soft on the inside, and with a kind of "foam" on the ends, also known as a skirt. It seems to be simple, but it's delicious, and it never ceases to look like a sweet mini hamburger. Typical French delicacy, the macaron has Italian origin, also explaining its name. Known for its long shape, the Eclair or chocolate bomb is a Pastry candy made with dough of wheat flour, identical to pate choux. 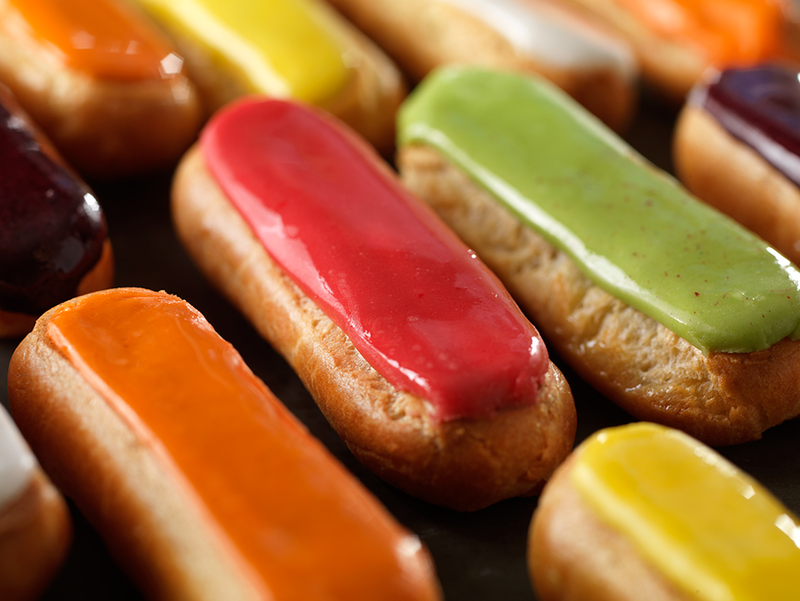 The name éclair comes from the French word for lightning and like the name "bomba" in Brazil, refers to the fact that, at the first bite, the sweet "pops" in the mouth with its creamy filling. Evidently, a pleasure potion: it has soothing properties and stimulates the production of endorphin, the hormone responsible for elevating self-esteem and well-being. Come and enjoy our tasting and the chocolate recipes. Gather your friends and cook for them. Learn fast and practical French cooking recipes to cook in your own home for celebrations. A festive Christmas cooking class where the participant will learn how to prepare a perfect traditional French Christmas dinner. Under the careful guidance of our Chefs, you will create delicious classic Christmas recipes for a memorable meal.